How many pointless arguments have been decided by looking something up on Wikipedia? I bet a lot. 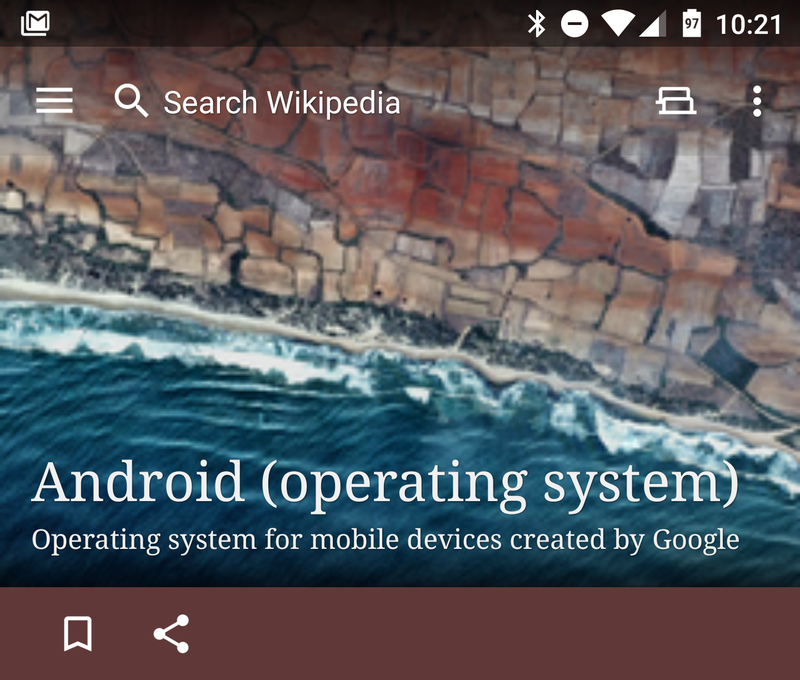 The Wikipedia app makes it even faster to look up factoids and end arguments, and it's getting an update today with a few feature tweaks and some bug fixes. Here's the changelog for the latest Wikipedia update. Introduced a toolbar under the lead image for quick access to share, save, and navigate to the location of the article. Moved "similar pages" and "page issues" to the overflow menu. Reduced memory usage and out-of-memory crashes. Several saved page status fixes. Thumbnail icons for similar pages are fixed. Norwegian app language support is fixed. The quick access bar (seen above) is themed to match the color of the main article image, which is a nice touch. It has buttons for saving an article offline and sharing. The "similar pages" and "page issues" links have been moved to the overflow menu to keep them out of the way. Then, you've got a number of bug fixes and improvements to memory usage. That'll be nice on cheaper devices that don't have as much RAM.